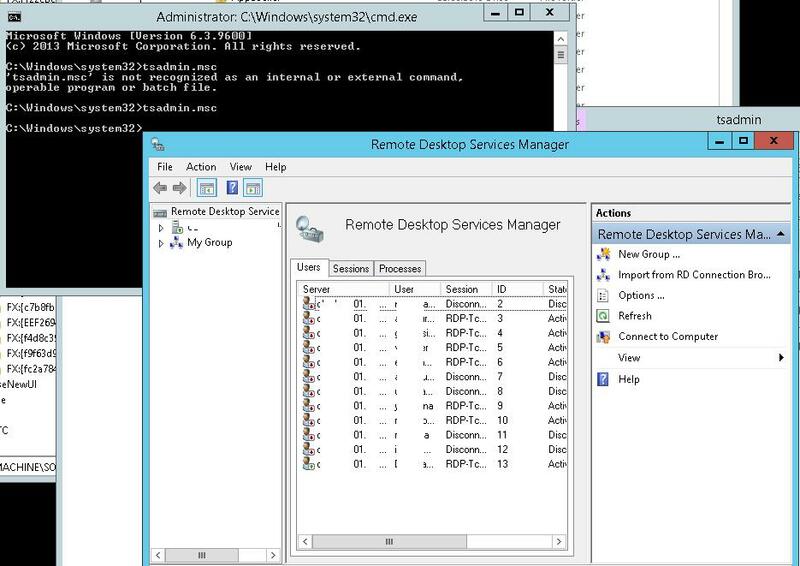 Many administrators of Windows terminal servers might have noticed that starting from Windows Server 2012, the management snap-ins tsadmin.msc (Remote Desktop Services Manager) and tsconfig.msc (Remote Desktop Session Host Configuration) disappeared from RDS servers. MS developers have decided that the majority of RDS server settings could be managed using Server Manager or group policy editor console (gpedit.msc), but the old snap-ins are more convenient and familiar. 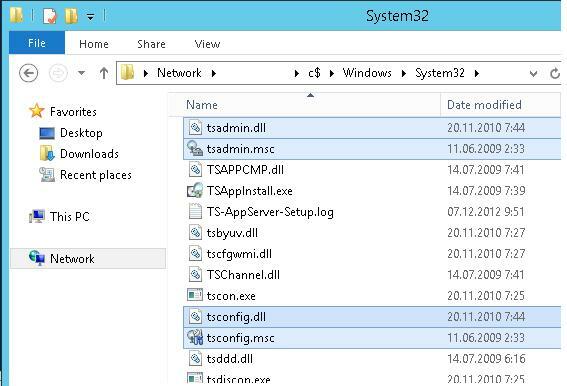 Let’s see how to get tsadmin.msc and tsconfig.msc snap-ins back to RDS servers running Windows Server 2012/ R2. Then on Windows Server 2008 R2 by using regedit.exe you have to export two registry branches to the *.reg files. And import these *.reg files to Windows Server 2012 registry. Note. 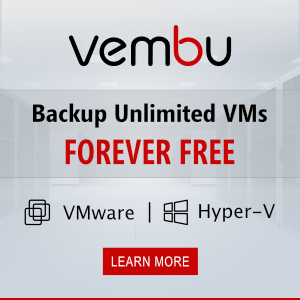 If you don’t have a deployed copy of Windows Server 2008 R2 at hand, you can download the archive with the necessary files from our website. Note. Naturally, this solution is not supported by Microsoft and you can use it at your own risk. It should be noted that using tsadmin.msc console you won’t be able to connect to the terminal user session (error: Access is denied). 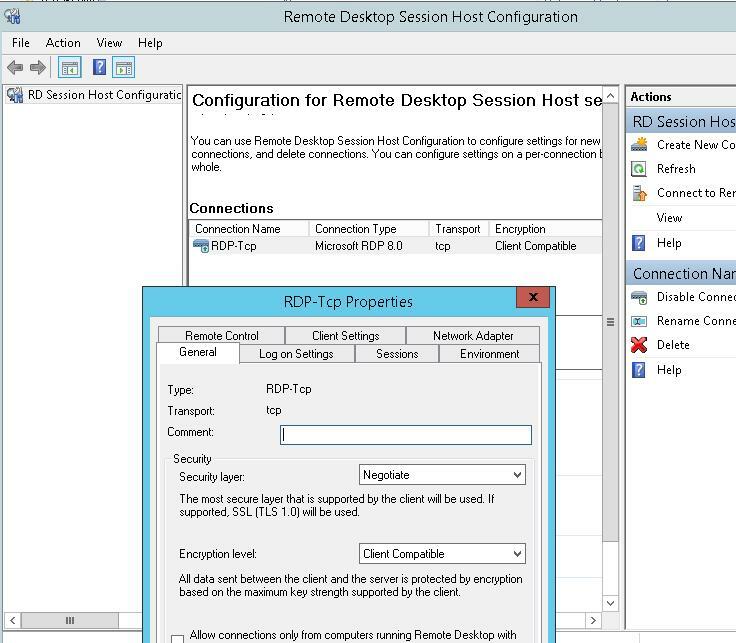 It is possible to connect to an RDS session using the scenarios described in RDS Shadowing on Windows Server 2012 R2. What about the security tab in the RDP-Tcp properties?